February 5, 2015 by Josh Haynam	in interactive content, tutorials. The first thing you need to do is come up with a subject your audience will really care about, this is especially important today as there are so many online distractions at any given time. If your quiz doesn’t address a real pain point, no one will click on it. This is one part that Eastern International College nailed, and Karen Walters who created the quiz shared a bit of insight as to why she chose the topic she chose with us. While it seems obvious now that she said it, I can’t tell you the number of times that people struggle to really hone in on what’s important for their audience. 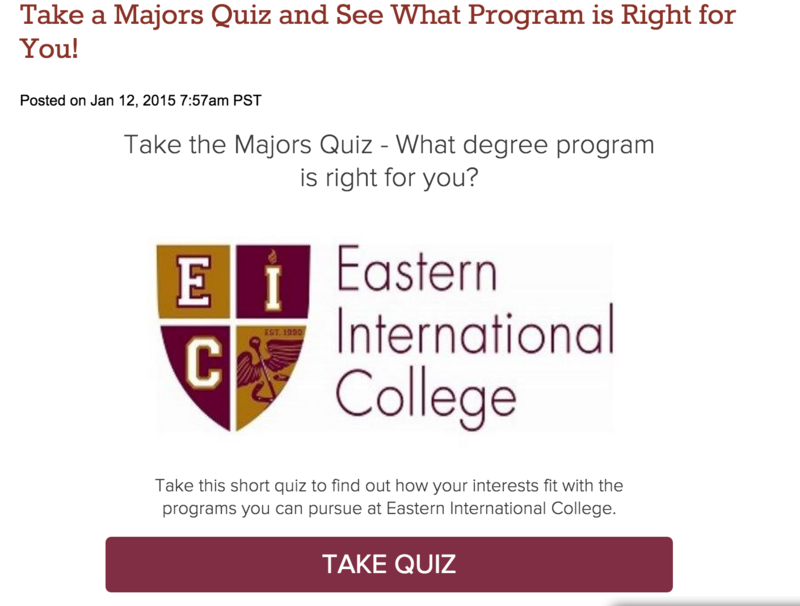 For a college, the biggest question on prospective students’ minds is “what should I major in?” so Eastern International made a quiz about it. When you go to make your quiz, think about the one question your customers and future customers really want answered, and answer it with a quiz. 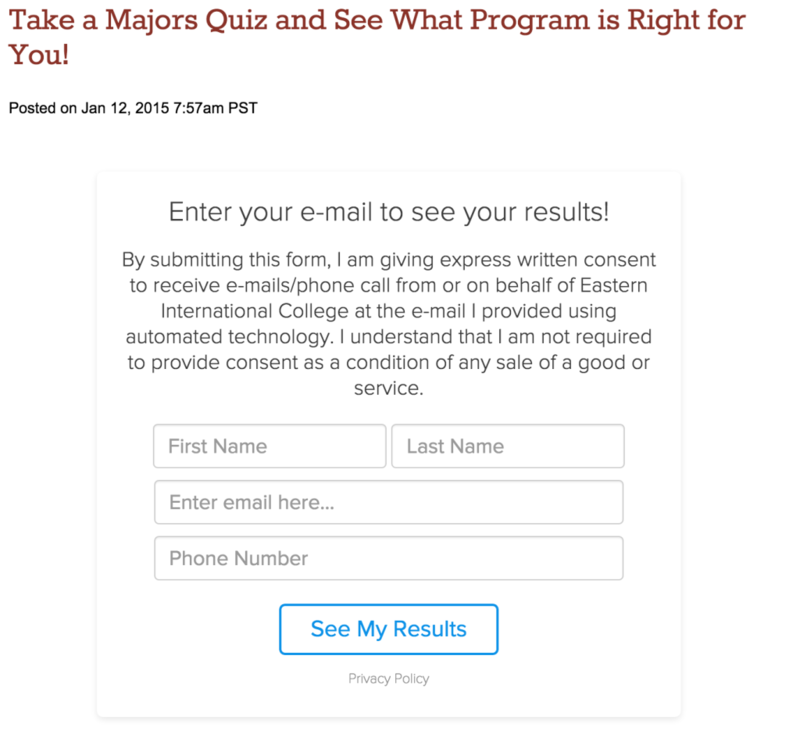 A quiz is the only kind of web content where you get to ask your prospects questions and have them actually answer. The goal is to emulate an in-person conversation as closely as possible and replicate some of the good feelings that come out of talking to another human (in this college case, talking to a school adviser would be the closest real-life equivalent). Again, an excellent job by Karen Walters, here’s her take on creating the quiz questions. I’d like to add that I was just in college and can attest that the questions asked in this quiz are strikingly similar to the ones my adviser would ask when I would go in to talk about classes and schedules (I even changed majors and had a conversation like this). That’s the point with quiz questions, they should feel real, the questions should dive into personal issues and build trust so that when the next step comes and you ask for information, that foundation of trust is already there. 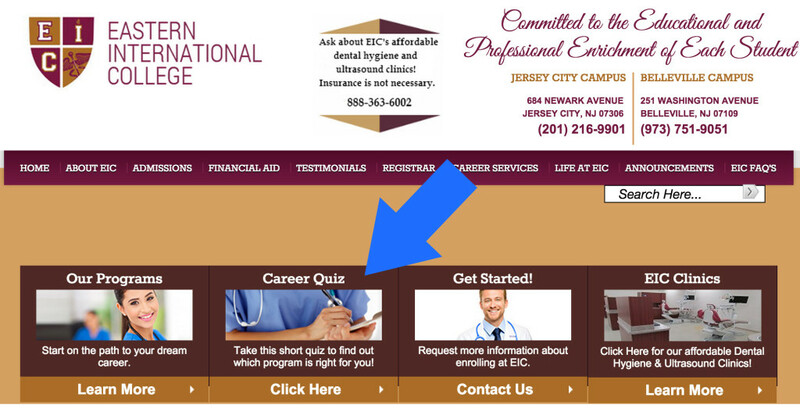 Everything else with quizzes is cool, but the real reason we’re all here is to learn how Eastern International College turned web traffic into new leads using a quiz so we can replicate the method for our own sites. I want to start off with a quote from Karen Walters that I find very telling. The other thing you’ll notice as you look below and see the Eastern International College quiz lead capture form is that they aren’t shy about what they will do with the information once they have it. Sure, some people might not opt-in because they don’t want to be called, but others will opt-in because the form is honest and explains exactly what will happen to the contact information once it’s given. I always recommend you are explicit about what you are going to do with lead information once it’s collected. This will not only continue the trust you’ve built through the quiz question conversation, but will start things off on the right foot when you begin to turn that lead into a long-term customer. What I mean is that you just asked people to hand over information in return for an assessment of which degree they should pursue (or whatever you make a quiz about). You owe it to that person to give them an accurate and thorough assessment to make it “worth it.” The college quiz we’re examining went to great lengths to deliver on their promise, as Karen Walters explains below. Quizzes are all about managing expectations if you want long-term high quality leads that will turn into paying customers. 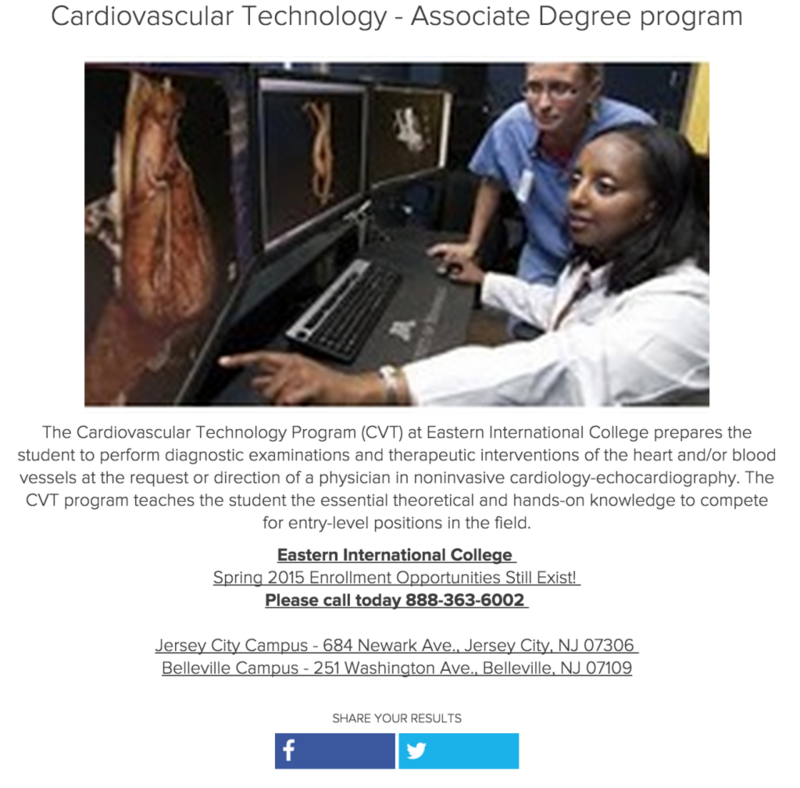 I have great respect for Eastern International College’s attention to detail when it comes to getting the results right and accurate, and they are sure to provide plenty of explanation and outbound links to give even more detail as to why the selected result was given. This is the best part of this whole article because it’s simple and transparent. Karen Walters shares with us exactly what she did to get 125 new leads. It’s really not complicated, what sets quizzes apart from other content when it comes to lead generation is the built-in draw of wanting to see your results, and not some magic formula for sharing that automatically makes people want to opt in. I think this is exemplified by the fact that what Karen Walters did is to share the quiz through the normal channels that any post would get. However, I don’t know about you, but my average post doesn’t bring in 125 new qualified leads who provide a variety of contact information. 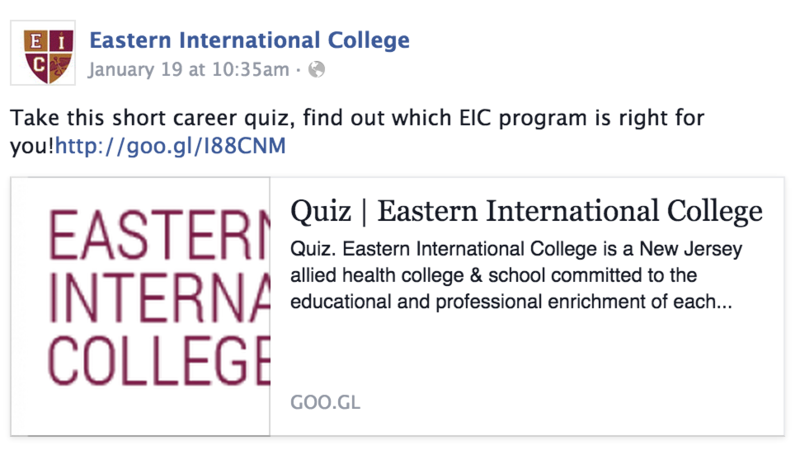 The other thing EI College did was promote the quiz via a link on their website which took visitors to a page dedicated to the quiz itself. 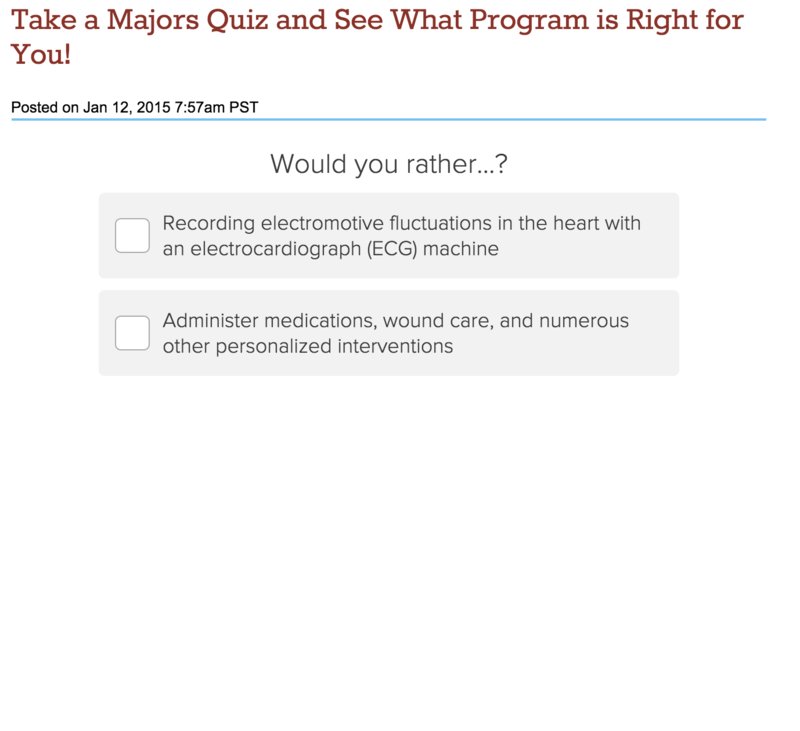 It was mentioned earlier that you shouldn’t oversell a quiz in any capacity, and the same rings true with the link on the website. It’s just titled “career quiz” and that’s what the quiz is, nothing more, nothing less. How to replicate this method. Karen Walters did an excellent job of giving tips for making a lead generation quiz, I’ll let her tell you what’s up.